In Maryland, any person who keeps or cares for chickens must register with the Maryland Department of Agriculture. A person must also register other kinds of poultry, including ducks, geese, turkeys, pigeons and doves. The registration program helps protect the Maryland domestic poultry industries from the spread of disease. The registration form can be found on the Maryland Department of Agriculture's website. 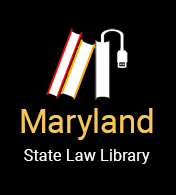 Read the Law: Md. Code Ann., Agriculture, § 3-804. Counties and cities regulate the number of chickens that a person can raise on a specific piece of property. They may also regulate the size of the lot, the distance of the hen house or coop from neighbors and other conditions. For this reason, a person wishing to raise chickens must check the law in the county where he or she lives. You may not keep more than 5 chickens on one property, and no roosters. Chickens must have a "sturdy coop" and an attached, secure enclosure set back at least five feet from the property line. You must get approval from all abutting owners of your intent to keep chickens. Use the Department of Neighborhood and Environmental Programs backyard chicken registry and approval form. Prior to keeping any chickens, submit the form to the Department of Neighborhood and Environmental Programs along with accompanying fees and approved inspection. Residents may keep up to 32 chickens per 40,000 square foot area. The hen house or coop must be 50 feet from all lot lines. Additional rules apply. Residents may keep up to 4 chickens in a yard of any size. The pen must be moveable and at least 25 ft. from any home. First, get a permit from the Bureau of Animal Control (410) 396-4698. No roosters or other fowl are permitted. Additional rules apply. Residents may keep any amount of poultry as long as the poultry does not create a nuisance. The minimum lot size is one acre. Residents living in a detached, single-family house may keep up to 8 chickens. No roosters are allowed. The yard must be 10,000 square feet or larger. The coop must be at least 15 feet from all lot lines and 50 feet from all neighbors’ houses. Additional rules apply.